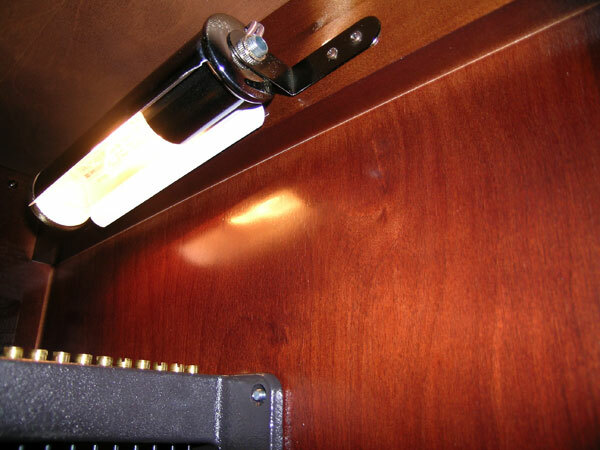 This will be helpful to those who wish to repair or add an interior light to their grandfather clock. 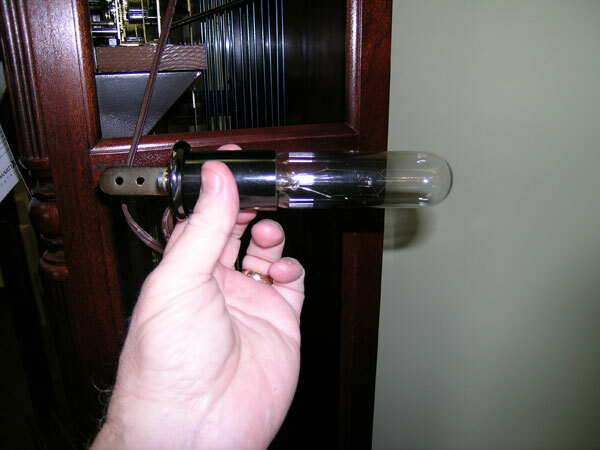 Most interior lamps are mounted at the top of the grandfather clock with the shade pointed downward. This illuminates the weights and the pendulum of the grandfather clock in low light. It is a nice effect. Begin by removing the glass access panel on the right hand side of the grandfather clock. 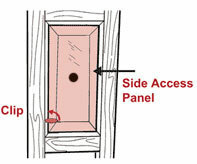 Side access panels may be held in place with a clip located on the inside of the clock. 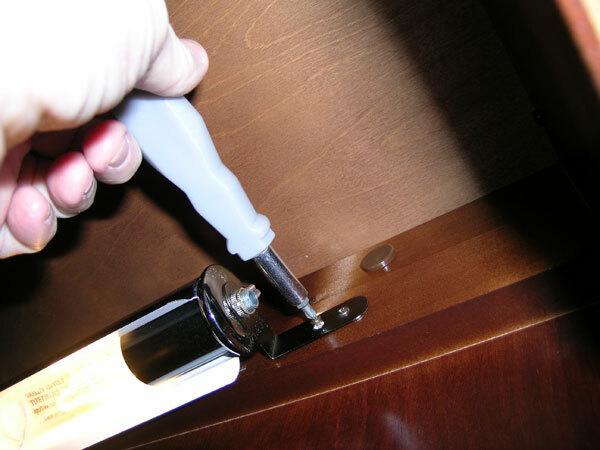 Turn the safety clip on the inside of the clock holding the panel in, to release the side access panel. 1) Lift the panel up and push it in towards the inside of the clock and completely separate the panel from the clock frame. 2) Tip the panel at a slight angle and pull it out through the side access frame opening. Looking upward in the right hand access panel. Simply “pinch” the collar on the shade to compress the ring and the shade can then be easily removed from the grandfather clock lamp. 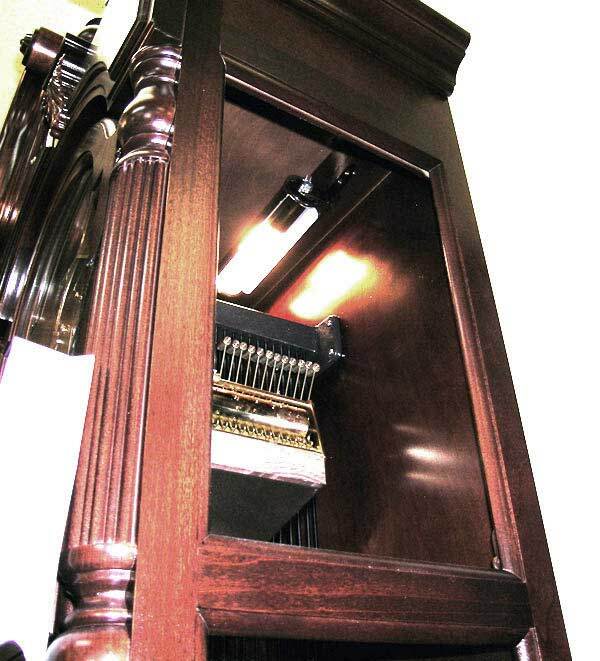 The grandfather clock uses an Inline rotary switch for the grandfather clock lamp which is part of the line. 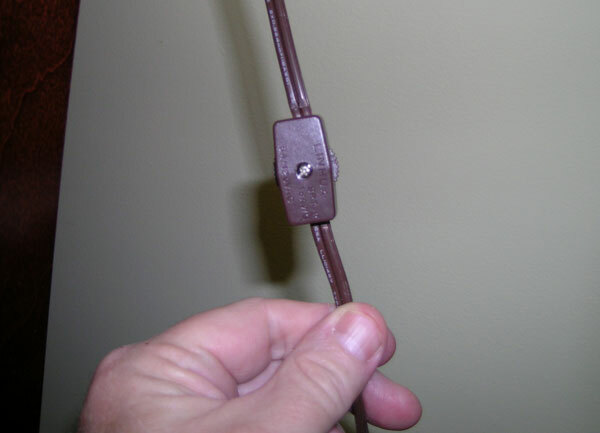 The other end plugs directly into the wall. Using the images above, it should be simple to understand the installation of the lamp in the grandfather clock. Lowes or Home Depot usually have the tubular light fixtures available if you should wish to add the illumination the your grandfather clock that did not have one installed at the factory. If you are considering a new grandfather clock for your home, please click here to view our complete selection of grandfather clocks. We ship anywhere within the cont. United States and offer free shipping.